Plastics have transformed modern life. They have given us computers and mobile phones, facilitated space-travel and revolutionized medicine. They save lives daily in the form of helmets, incubators and airbags. But we are now beginning to drown in plastic. Although efforts are being made to improve the situation, most plastics are non-biodegradable and so they linger in the environment, which is causing a huge problem for our oceans. Over 300 million tonnes of plastic is produced every year and at least 8 million tonnes of that ends up in our oceans. If nothing is done, experts estimate that this figure will rise to 80 million tonnes a year by 2025 and that by 2050, the amount of plastic will outweigh the amount of fish in the ocean. There are two solution streams to the problem: 1) cleaning up what is already in the oceans, and 2) stopping more from getting in. Marine scientists stress that the overwhelming priority must be prevention - stemming the flow of those 8 million tonnes every year. This is where envirotech can come in, and Seabins are a positive example. The Australian-based Seabin Project is trying to stop plastic before it makes it out into the open ocean. The Seabin is a floating rubbish bin that is located in the water at marinas, docks, yacht clubs and commercial ports. It moves up and down with the tide collecting floating rubbish. Water is sucked in from the surface and passes through a catch bag inside the Seabin, with a submersible water pump capable of displacing 25.000 litres per hour. The water is then pumped back into the marina leaving debris trapped in the catch bag to be disposed of appropriately. The Seabin at Dubai Marina yacht club is one of the first fully functional Seabins to be installed in the Middle East. System 001, founded by Boyan Slat, CEO of The Ocean Cleanup - a floating 2,000ft long unmanned, modular system that moves with the currents and traps plastic. Its objective is to clean up the Great Pacific Garbage Patch, a collection of plastic and floating trash twice the size of Texas, held in place by ocean currents between California and Hawaii. Artificial Intelligence algorithms and heightened computing power - in a new field of “climate informatics", climate scientists are using AI to better understand natural systems and to enhance interventions by modelling and predicting climate patterns. Robotics – Marine scientists now have solar-powered robots at their disposal, developed by start-ups such as Liquid Robotics, which use the ocean's energy as propulsion to collect data during missions to track plastic density. Their SV3 model robot can explore more than 90% of the world's oceans. Blockchain - The UNFCCC recently launched a Climate Chain Coalition with over 80 organizations committed to using blockchain technologies for climate change efforts. Also, for example, The Plastic Bank, a grassroots company, offers Blockchain secured digital tokens for the exchange of recycled plastics. They aim to stop the flow of plastic into our oceans by rewarding those who recycle. Satellite imaging and machine learning - The European Space Agency (ESA) recently announced that it will use satellites to track vast quantities of plastic from space, to establish where it is most concentrated and to help focus clean-up efforts on these ocean garbage patches. 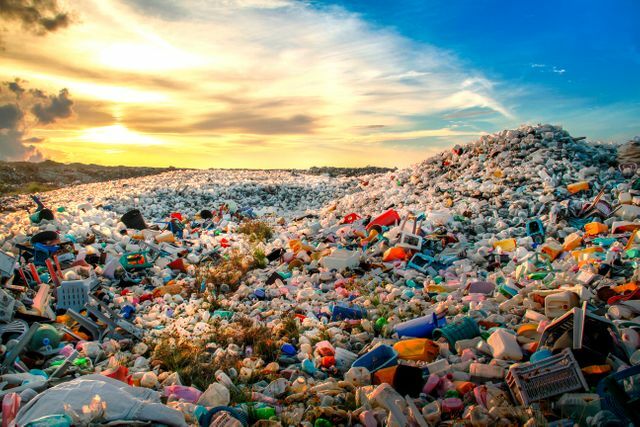 In the UAE, the Environment Agency – Abu Dhabi (EAD) is also taking action by collaborating with the private sector and NGOs, and working with the Emirates Wildlife Society to develop a plan to tackle plastic pollution. The EAD are currently conducting high-level research on the size of the plastics and micro-plastics in the Arabian Gulf and the source of the material. Furthermore, in March 2019 the Government of Abu Dhabi will host the World Oceans Summit, in an attempt to gain regional support for action to reduce the volume of plastic in the Arabian Gulf and our wider oceans. CMS Dubai is devoted to making a positive impact in this space and in 2019, we will team up with Companies for Good to contribute to the cleanup of Dubai’s beaches. There is obviously a long way to go, but signs are strong that envirotech can have a huge part to play in the fight against marine plastic. Empty plastic bottles, plastics, cigarette butts, microfibres and microplastics — trash that should have gone to the landfill but landed on the marina will no longer pose a threat to marine life in Dubai thanks to the Seabin.